Wide range for measurements as high as 40000 lux and 4000 fc. 0.01 lux and 0.001 fac resolution for accurate low light level measurements. Light sensor cover is included for preserving sensor life. Data hold and peak hold function. Selection key for lux and fx. The spectral sensitivity close to CIE photopic curve. 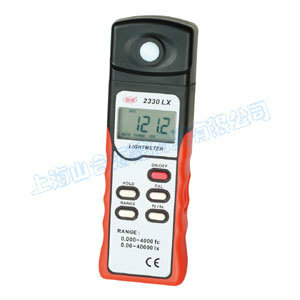 Ideal tool for workplace, clean-room and computer room light testing. Video, photographic, office classroom, and architectural uses.